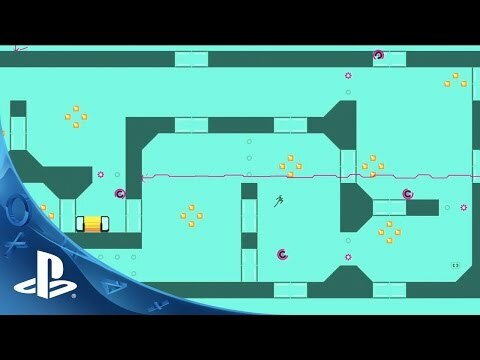 N++ is a fast-paced, action-packed puzzle platformer set in the distant future. You play as a ninja, darting through obstacles, narrowly evading a slew of inadvertently homicidal enemy robots and collecting delicious gold in a minimalist, sci-fi world. N++ is all about smooth physics, deftly controlling the speed and inertia of the ninja,and the awesome feeling of fluidly moving through each level. It's bursting with hundreds of single player and multiplayer levels, each featuring a series of difficult challenges, diabolical traps and a distinct visual style to nimbly soar through. If that wasn't enough, the integrated level-editor allows you to make and share your levels with every other person on the planet. Get ready for the biggest test of your ninja skills yet!